Shotgun Creek Recreation area is the perfect spot to go when the weather isn't very good but you still want to get out into the woods. This popular area is open year round and parking is $3 per day (or $15 per season). In the winter season there are very few people here, which is great for those seeking solitude when hiking. There are multiple trailheads along the upper parking area, which are short paths creating short or longer loops. If you are wanting to do an extremely short hike, feel free to start at one of these trailheads, however the entire Shotgun Creek loop is only 4.7 miles. To start this loop you will have to go around the large field to the left of the upper parking area. You will see a sign for doggy poop scoop bags, and this is where the trail starts. You will walk along Shotgun Creek for 1.1 miles. 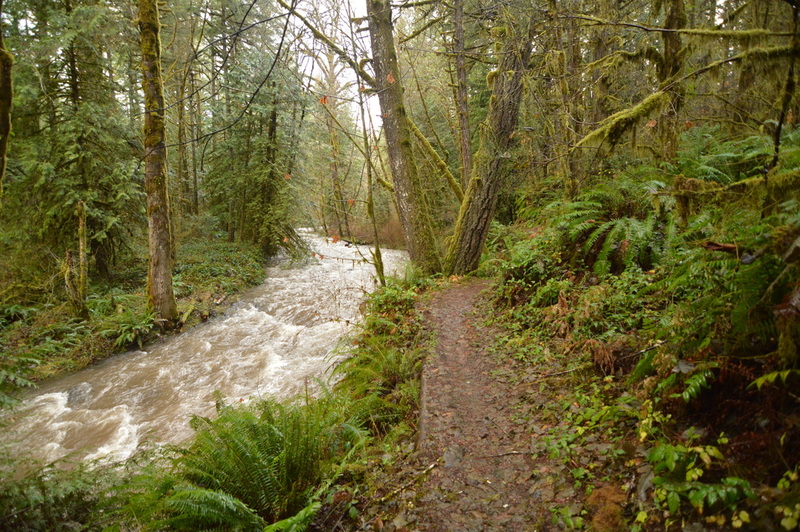 This part of the trail is absolutely gorgeous, and during heavy rain seasons the creek is more like a raging river! After the 1.1 miles, the trail takes a turn away from the creek, heading into the woods. 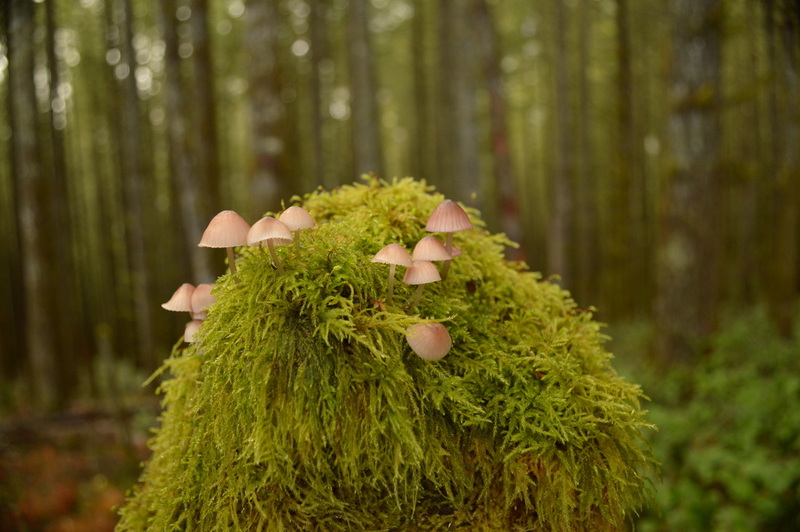 After another mile of hiking through these mossy woods, you will come to a trail junction with a few different paths. If you want to end your hike here, you can head downhill for .3 miles to get back to the parking lot. 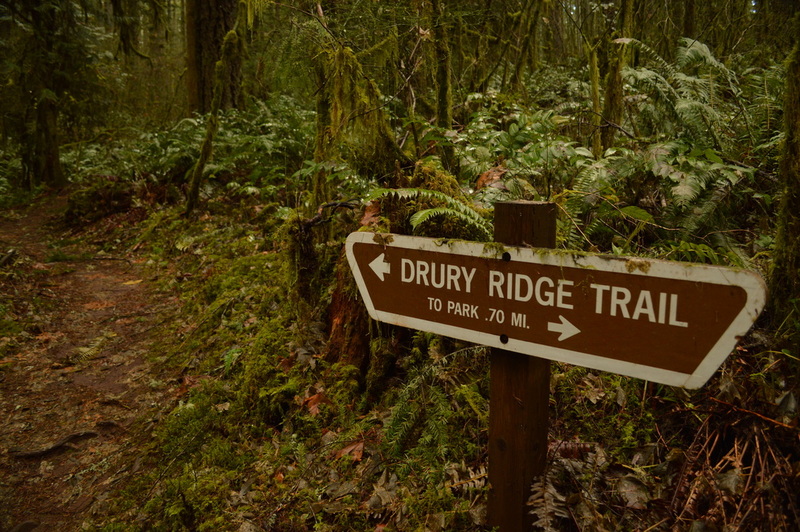 If you are looking to continue on the loop, you will take the trail to the left at the sign that says Drury Ridge. From here you head up the hill for 1 mile. The top is a bit inconspicuous in the sense that you don't really realize that you're at the summit of Drury Ridge except that the trail all of a sudden heads back down the hill. The top is rather dark, and there are lots of tree stumps from huge old growth trees. You can tell that there is some type of old logging road near the top of the trail here. From the top, the trail meanders downhill for another mile. Here you will enjoy a more open and sparse forest with southern exposure, so on sunny days you can enjoy some rays. After 1 mile you will come to a T junction. To the right is the Tiki trail which will lead you .6 miles back to the previous Drury Ridge junction, then you could head the .3 miles down to the parking lot. 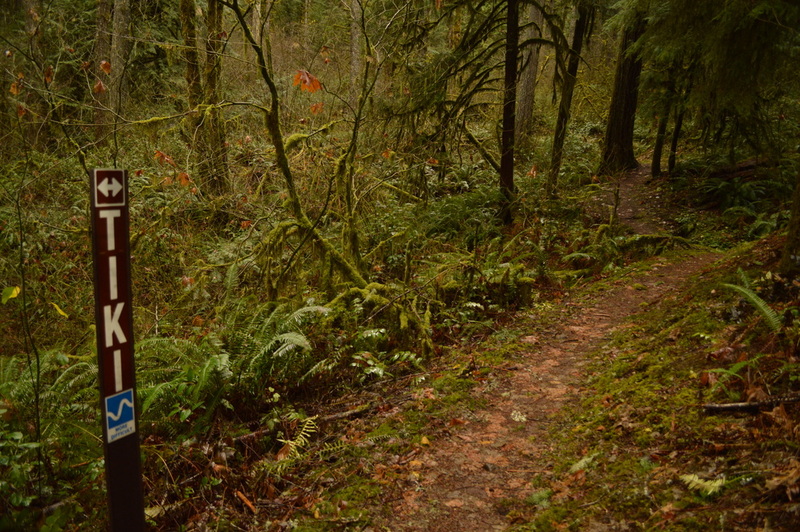 Or you can continue to the left on Tiki trail and take the .7 mile trail back down to the parking lot. The Tiki trail to the left switch-backed down the hill. During this .7 mile section of the trail you will see a few smaller creeks flowing down to join Shotgun Creek. And the view you see of Shotgun Creek from the trail above is pretty neat, because you can really see how the creek winds through the landscape. Tiki trail comes out at Lower Shotgun trail, which is right next to the bridge at the beginning of the upper parking area. 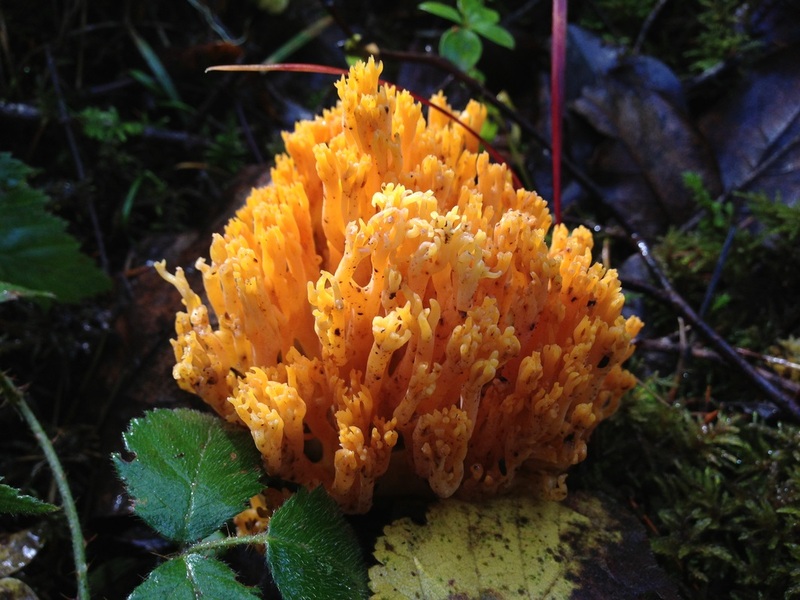 Overall, this is a great hike to do for any age and experience level. It is a perfect short day hike for the winter season since it is very close to town and with such limited daylight hours it can be tough to get a good hike in. Even during the fall and winter when this area is not maintained, the trail is still well groomed and a very easy surface to walk on. (Best time to go is November, December, January, February and March). ​Directions: Take the Springfield exit of Interstate 5 and drive east on I-105 to the 42nd St./Marcola exit. Turn left on Marcola Rd and drive for 15 miles. Continue along this road for another 3 miles past the town of Marcola and then turn left at the sign for Shotgun Creek Recreation area (on Shotgun Rd.). After 1.6 miles you will see the recreation area on your right. Parking pass is $3 per day (or $15 per season). Your Northwest Forest Pass does not work for this trailhead.